If you’re a bit – how can we put this nicely – hopeless when it comes to cars, then you’re reading the right article. Even if you don’t like doing it, it’s important to maintain your vehicle both for your safety and convenience, and so that when it comes time to sell your car, you’ll be able to get the most for it possible. It’s important to keep your tyre pressure maintained, not only because it will ensure a safer, smoother drive on the road, but also because it’s good for fuel economy. I know; who knew a little tyre TLC could translate into saving money at the petrol pump? How frequently you need to check pressure really depends on how old the tyres are, but once every month should put you on the safe side. First, you’ll need to know how much you’re meant to inflate your tyres. This number will be found in the doorjamb on the driver’s side, or in your manufacturer’s manual if you still have that lying around. Once you’ve found the magic number, you can head along to pretty much any petrol station where they have an air pressure station. Don’t go driving around too much before you head there though – your tyres should be “cold” before you start refilling them because when they get hot the air in them expands. Use the machine to check your current pressure. If they’re too low, take the valve off each tyre, fit the nozzle over it, and set the machine to start refilling your tyres -simple! If the pressure is fine, drive off into the sunset without a care in the world. The dipstick also has a ring on top of it, to make it easier for you to pull out. Take it out and wipe it on a rag initially, so you can get a clean read. Once it’s clean, insert the dipstick back into the pipe all the way in and out again. You’ll be able to see the point that the oil level is at by how far up the dipstick it goes. There will be small writing that indicates levels of “full” or “add” (or something along those lines) that will help you determine what you need to do next. If you do find it’s time to refill the oil, don’t try doing so through the skinny pipe that the dipstick lives in. 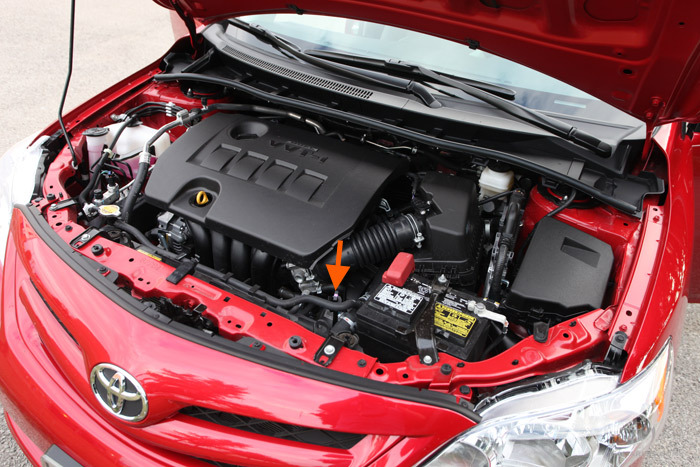 There’s another, much easier spot to put your oil into – you should be able to find a cap located closely to the dipstick labelled something like “Oil Cap”. Usually this cap will have information underneath on the kind of oil your car takes, or at the very least this will be outlined in the manufacturer’s manual. 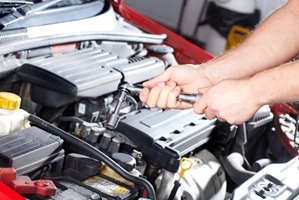 Car batteries can be a bit tricky, and that can turn off a lot of people from checking them. However, if you want to get the most value out of your battery before it dies completely, it’s important to run regular checks, every few months or so. Once you’ve safely disconnected the cables, you can begin working on maintaining the battery. This mainly involved cleaning the powdery deposits you may find on the terminals where the negative and positive cables connect. This can be removed with just a sprinkle of baking soda and a firm scrub with an old toothbrush or small brush. In conjunction with regular services from experienced mechanics, these simple checks can really go a long way in maintaining the handling, safety, and value of your car.